KNX is the worldwide standard for home and commercial automation. With over 300 different manufacturers such as Gira, Theben, ABB, Siemens the amount of products available are growing on a daily basis. KNX allows you to control your lighting, heating, blinds, curtains, velux windows and a host of other items using devices such as presence sensors, weather stations or dusk to dawn sensors. 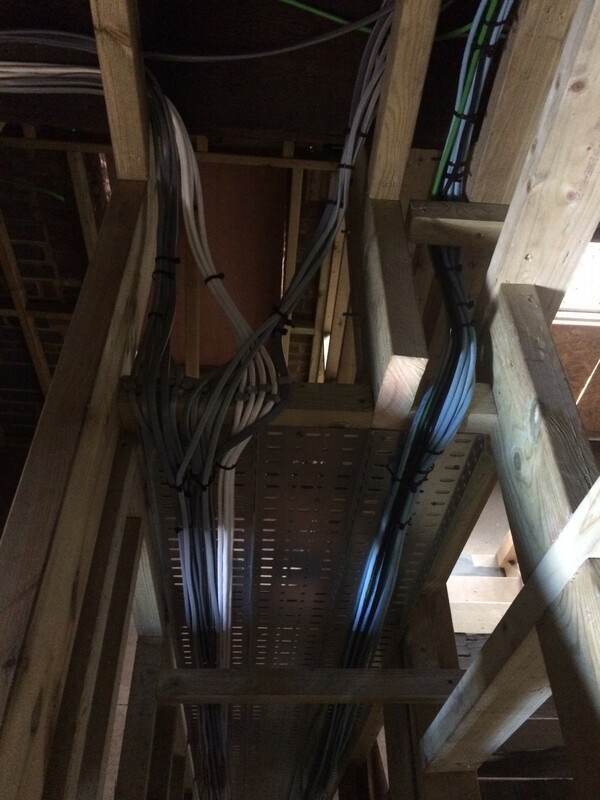 KNX is very successful in Europe and although in the UK we are just embracing it, KNX looks set to be the main method of electrical installation going forward as it is virtually future proof. By automatically lowering blinds when the sun shines, air conditioning power, for example, can be reduced and when there is bright light, lights can be dimmed to save even more energy. Please call us or email us for more information on KNX. 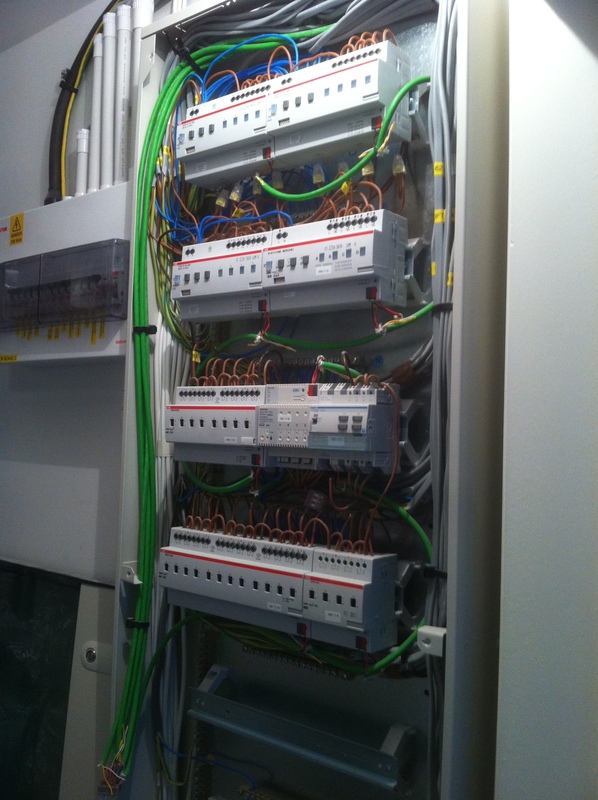 This is photo of a typical KNX installation. 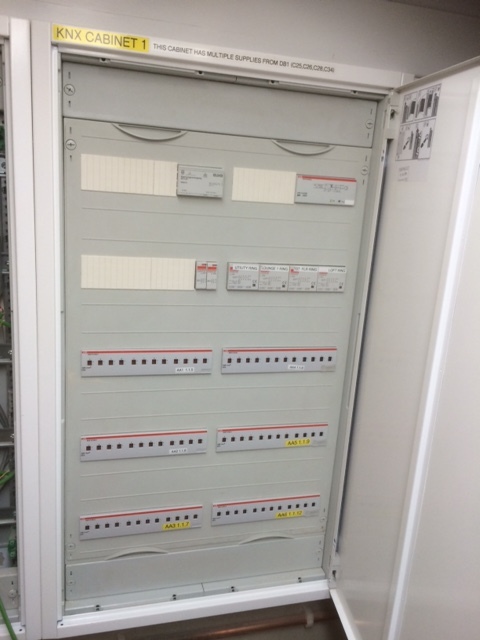 Power is given to the actuators from the main fuse board. These are clearly identified for isolation and identification purposes. 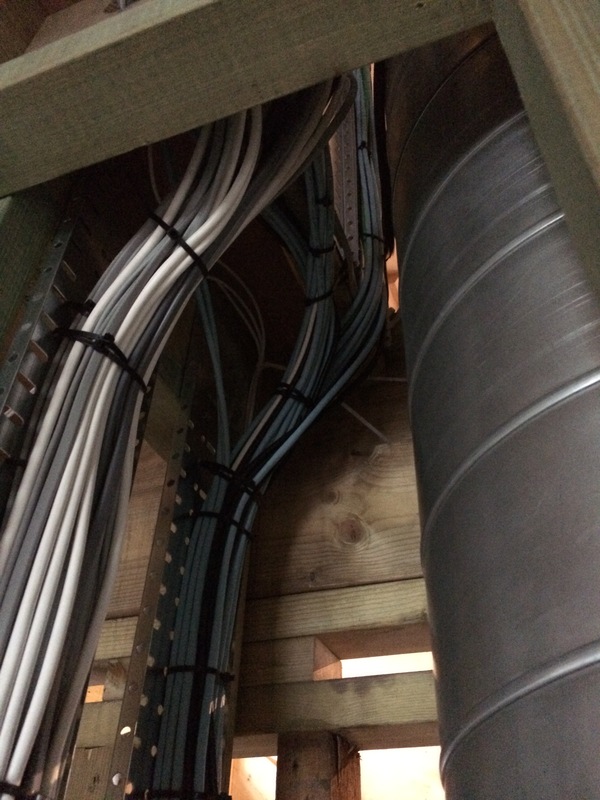 The bus cables in green loop from one actuator to the other, going around the property to every switch, controller and presence sensor. Our sister company, KNX Installations Ltd is a KNX PARTNER and we can direct you to discussing your installation requirements with them.